This Nativity is hand-carved from a soapstone called wonder stone. The stone is relatively soft and suitable for shaping with friction. The Nativity includes the Holy Family, a camel, a donkey, a zebu cattle with hump, and a sheep. 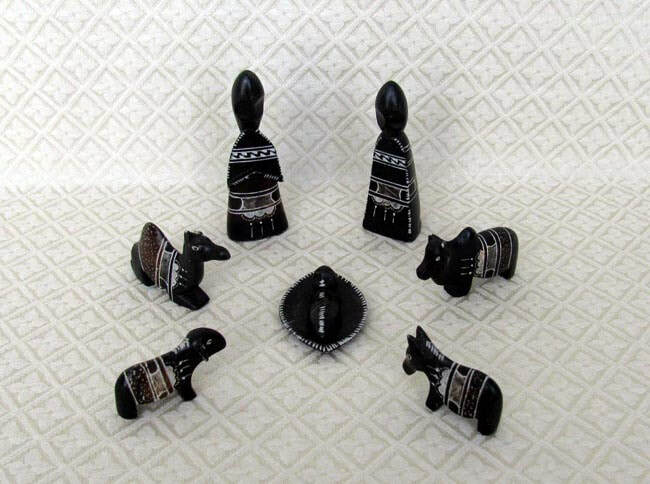 The light stone is painted black and then etched with a tribal pattern to reveal the light color underneath.The standing figures measure 4 inches tall.